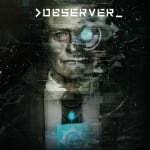 Recently we were invited down to Kraków, Poland, to have a bit of an old hands-on with Observer, courtesy of its creator, Bloober Team. After Layers of Fear scared the nonsense out of us, we had high hopes for this new game, based on the promise that it builds heavily on what Bloober's previous Switch game offered, and expands it into a richer, more involved experience all around. So did it manage to get us scrambling out of our chair in an embarrassing manner? Sit back and relax, dear reader, for you're about to find out. Things start off rather cryptic; a bit of narration sets the scene before we’re thrust into the perspective of Daniel Lazarski, voiced by the supremely talented Rutger Hauer of Blade Runner fame. 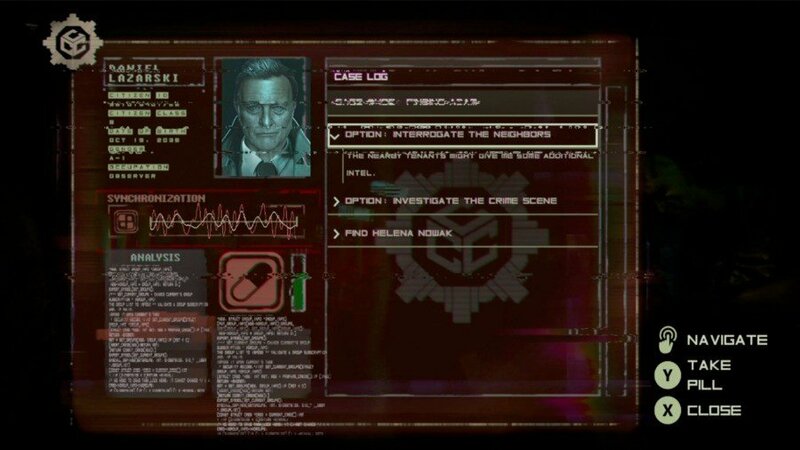 Lazarski is part of a policing force installed with artificial modifications, allowing him to change his vision to better analyse an environment, amongst other useful crime-solving abilities. At first, we were slightly worried that the build of the game we were playing wasn’t quite finished, as whenever we moved the camera we noticed artefacts blotting the screen and trailing behind everything we could see. A short while later, however, the game explains away these ‘errors’, and what’s more, solves them by use of a sedative designed to keep our character in control of himself and his cybernetic enhancements. A short telling-off by our employer and a quick self-administered dose later, the artefacts were gone, and the game looked as you’d expect. This is a perfect way to set you up for what the game has to offer; it tantalises you with the idea that things are not only not what they seem, but that your own senses and instincts can betray you – without going full-Eternal Darkness. The message is clear: don’t ever take anything for granted in this world. After setting everything up, we’re off investigating a dank and decrepit old building after a mysterious phone call from our estranged son. As you’d expect for a horror game, things aren’t 100 percent rosy and we’re forced to analyse the crime scene of a decapitated resident. Once we managed to make our way out, we found that the building had been locked down, but ironically our freedom within the building was exponentially increased. After that point, the game takes off the blinkers and just lets you explore if you want to, chatting to the dozens of residents through their doors, learning more about the world and just flat out letting you do whatever you want. However, at this point we felt that a lot of the scares we were expecting were a touch less shocking and more moody and unnerving, which was great, but not what we anticipated from the developers of a game like Layers of Fear. A bit of further investigation lead us to another room in the apartment building, and that’s when we started to eat the words that we’ve only just written (and so couldn’t have eaten at the time). Waltzing in like the officers of the law that we’d become, we were presented with a chap looking a little bit under the weather, having had a lot of his throat torn out. Understandable. And this is where the poster child of the game comes into play; being largely throatless, we couldn’t really get much out of this bloke verbally, so instead our brave hero decides the most logical course of action is to jam a big, special needle into this poor geezer’s cerebral implant and take a disjointed journey through his memories, so as to better find out just what the flipping 'eck happened to him. ‘Disjointed’ might be the understatement of the decade, in truth. We were banded around with a couple of surprising little moments like a window suddenly smashing and then rebuilding itself, but as time went by this rapidly devolved into entire rooms melting away in front of our eyes, polygonal figures flailing incessantly, screams, CRT televisions jittering and sparking as they float above a floorless chasm; the list goes on. 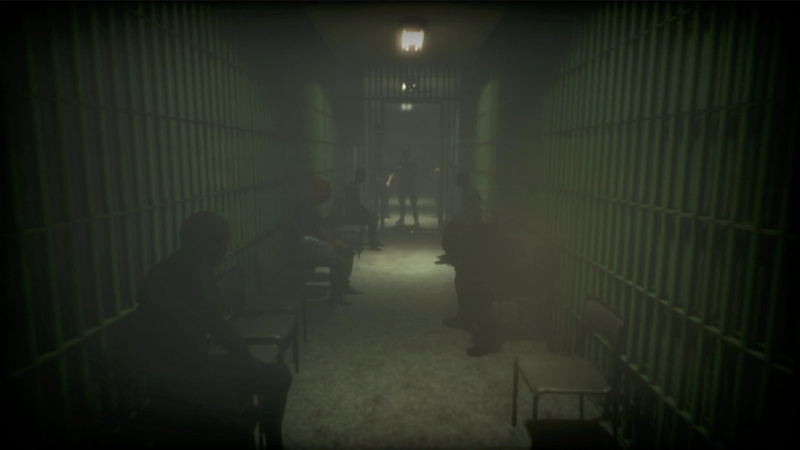 It’s jarring, unpredictable and downright terrifying when played in a darkened room, even with the development team there, ready to give us a reassuring hug if we needed it. If you’ve ever been ill and suffered a fever dream, that’s what it’s like. If you haven’t, you’ll have to use your imagination. 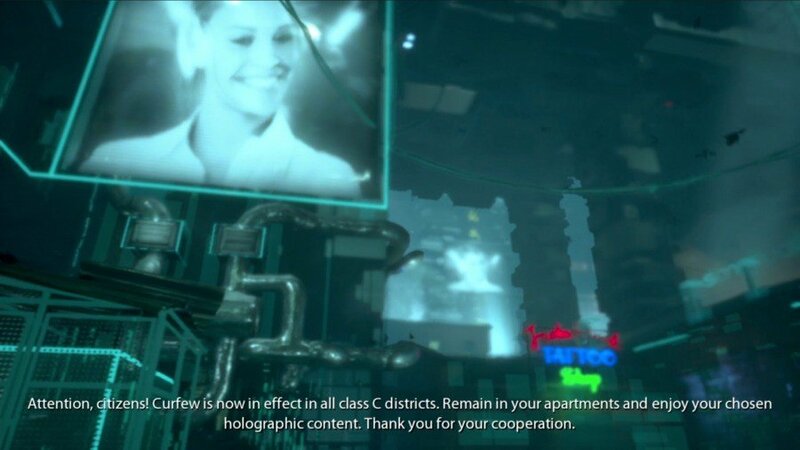 Despite this sudden tonal shift, it all feels like it makes sense in Observer's grim cyberpunk future. If you’re jacking into the mind of a dying man, things are probably going to get a bit hairy and be less than consistent. Small details such as unimportant people that, for example, litter the halls in a prison are barely modelled; just shifting, dark, basic 3D figures with little to no detail, because who would be able to remember every face amongst dozens that they saw all at once? This is pushed even further with one person amongst them having much more detail to them; still quite fuzzy, but with colour and distinctive features, who later turns out to be the cellmate of the man you’re seeing the life of. A really nice touch. 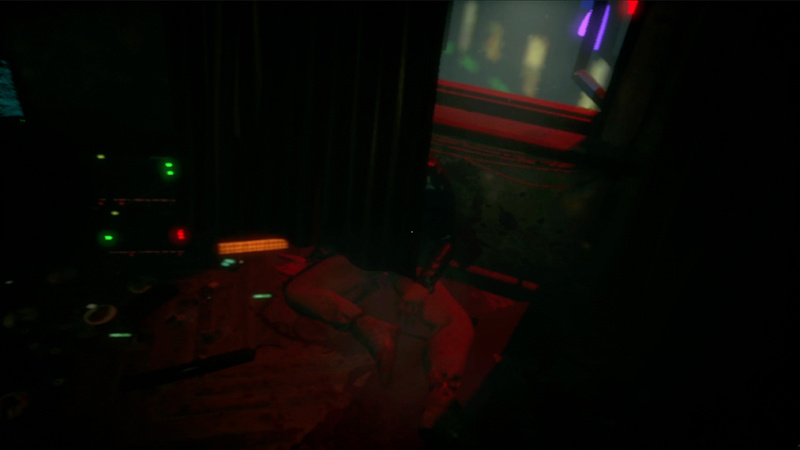 From what little we’ve played, Observer looks like it’s going to be a horror game unlike any other on Switch. The world is rich and open, the game is involved and requires more from you than you might expect, and the story has been created in such a way that it allows you to make choices, but without slapping you in the face with objectives telling you to perform action A or walk to point B. If you have the initiative, you can change how the game plays, but don’t expect it to hold your hand. As for the scare factor, well, everyone’s going to have their own personal scale when it comes to what makes you moisten your trousers, but if dread, unease and a total lack of predictability sound like your cup of tea, you could be looking forward to a long, sleepless night after playing this one. WOW! This looks right in my wheel house. I always loved Blade Runner. It was the first DVD I ever watched. If this has good gameplay, it's a day one purchase for me. This looks very original and innovative. I am highly impressed. Good luck to the team. Ps krakow is a fantastic place! Buyer beware. Nintendolife has up ads for this game all over. I’ve played it on Xbox one, and while intriguing it is plagued with technical performance issues. Harsh frame rate drops, pop in, bad textures, and horrible frame pacing. They all work together to make the game extremely difficult to enjoy. Wait for a proper review and cross reference it with sites that might not have as much stake in giving it a favourable review. I kept seeing this on the PSN a while back and noticed it was going for half price whenever they had a random flash sale. 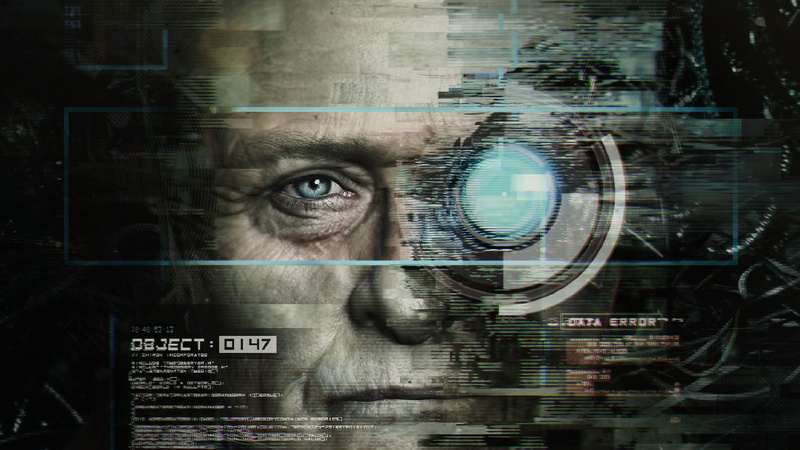 Very curious about this one; I love Rutger Hauer and I adore the Cyberpunk genre. Hopefully this game will be the definitive version on Switch and will purchase it posthaste. I would love for Amnesia and SOMA to hit the Switch as well. Hell- if they could get us the Bioshock and System Shock 2 remake on the system, I’d be thrilled as well. I started reading this article and immediately stopped. The game sounds like something that I would enjoy and I don't want to spoil it for myself. @Snakesglowcaps Thanks for the heads up. Looks like you received a few thumbs down from either staff members or Nintendo Life fanboys/girls. @Snakesglowcaps That's interesting. I followed your advice and went looking for other reviews, and it turns out the XBone version of this has a Metacritic score of 86%. (77% for the PC and PS4 versions). Doesn't sound like the NL preview is as biased as you imply. @Snakesglowcaps I don’t agree that the ads are affecting their judgement on the preview, but I do agree that the Xbox One version had some dodgy frame rate issues (only played the first hour or two when I had a trial of Xbox Games Pass) which means it’s worth waiting for a more technical preview or review before putting any cash down for this. I do love the premise of the game though. I love this game, instantly double dipping for this! I don't want to read too much of this hands on, I'll be buying this either way unless I read that it's broken or unplayable. Doesn't seem to be the case, though. @slider271 I very much could be wrong if they’ve cleaned the game up for Switch. But if they haven’t and it’s a straight port the fact that the frame rate wasn’t mentioned worries me that they may be going easy on it. @JasmineDragon well I did the same. It does have quite high overall scores. My personal advice is to play it or try it somewhere else. I personally found the issues to be far too glaring to overcome. This is coming from a huge Blade Runner/Cyberpunk fan. I hope that you do enjoy it though, especially on switch. from "top 10 things to do meanwhile you are waiting for Cyberpunk 2077"
I cannot wait for this. Layers of Fear was one of my most memorable gaming experiences in years. I absolutely loved the chills and feeling of dread it gave me, something I've never had in a game or even a movie before.When it finished I craved more of it so knowing there is this and Layers of Fear 2 on the way makes me very happy. Think it's made by Layers of Fear developer so I expect a very good and creepy walking sim. Will likely purchase when on sale. @Snakesglowcaps NL is a major website owned by Gamer Network, not some one-man-band trying to make it big. Major publishers like this make a good deal of effort to make sure their writers aren't influenced by advertising sales. As for Observer, been wanting to get it on PS4 for ages as I really enjoyed Layers of Fear, but will probably wait for the Switch review to see how performance holds up and then decide which one to get. I played the PS4 Pro Version and didn’t notice any framedrops or other problems. I’m not very far in the game but it has some nice elements and lucid dreamlike/ hallucinating scenes that puts max Payne to shame xD. I also bought it for less then 10 bucks on PS4 sale because I like Rutger Hauer and the cyberpunk genre. I don’t like the scanning parts though. @UnbreakableAlex perhaps the Xbox one version is just not the greatest version.